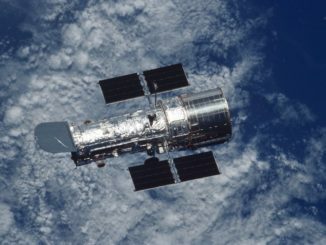 As Japanese ground controllers struggle to restore communications with a tumbling space telescope in orbit, the U.S. military’s space surveillance experts have eliminated one cause for the satellite’s troubles. 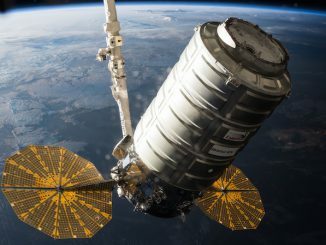 A military spokesperson told Spaceflight Now in an email Tuesday that the Pentagon’s space surveillance network detected no sign of a high-speed collision between Japan’s Hitomi astronomy satellite and another object in orbit late Saturday, when debris blew off the newly-launched observatory and mission control lost contact with it. “I can confirm that we have ruled out a collision as the cause of the debris event,” wrote U.S. Air Force Capt. Nicholas Mercurio, a spokesperson for the military’s Joint Functional Component Command for Space at Vandenberg Air Force Base in California. Mercurio said modeling and analysis by the command’s experts, akin to “rewinding the tape,” led officials to conclude the Hitomi satellite did not collide with another object prior to the appearance of the debris. The U.S. military’s tracking radars have detected at least five objects in the vicinity of the Hitomi satellite, which launched Feb. 17 and was about halfway through a three-month calibration of its X-ray instruments when trouble struck Saturday. The military’s Joint Space Operations Center, or JSpOC, has pinpointed the time of Hitomi’s “breakup” at around 0142 GMT Sunday (9:42 p.m. EDT Saturday), plus or minus 11 minutes. Since then, Japanese engineers have been unable to get a stable communications lock on the satellite. In an update posted online Tuesday, the Japan Aerospace Exploration Agency said its ground control team received two brief signals from Hitomi through the Uchinoura ground station in Japan and an antenna near Santiago, Chile, late Monday and early Tuesday. 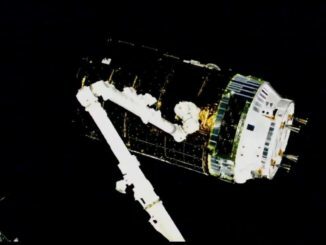 While the short blips from Hitomi show the satellite is still alive, Japanese engineers do not know what caused the craft to lose control. With an external cause now ruled out, a fuel or gas leak, a burst battery, or some other explosive event inside the satellite is the likely culprit. Jonathan McDowell, an astronomer at the Harvard-Smithsonian Center for Astrophysics who expertly tracks satellite activity, said the anomaly drove the Hitomi satellite slightly off course into an orbit about 5 kilometers, or 3 miles, lower than expected. That translates to a push equivalent to 4 meters per second, or 9 mph, he said on Twitter. The event also apparently imparted a rotation on the spacecraft, meaning its antenna is not reliably pointing at Earth. “JAXA has not been able to figure out the state of its health, as the time frames for receiving the signals were very short,” the space agency said. Visual observations of Hitomi from the ground indicate the satellite is varying in brightness, a sign the spacecraft is likely tumbling as it orbits more than 350 miles (about 574 kilometers) above Earth. 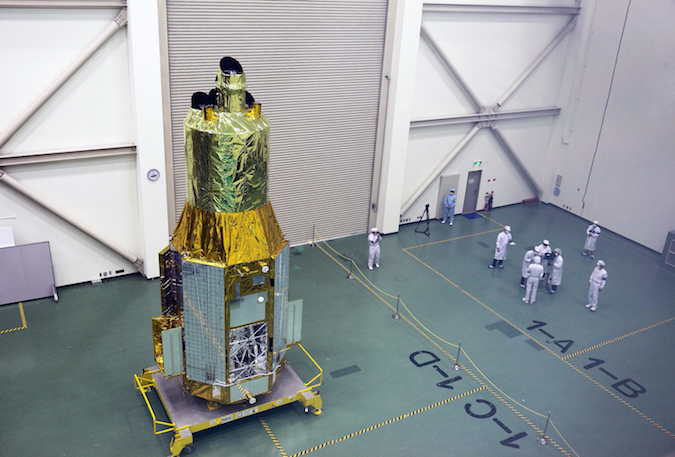 Hitomi, also known as Astro-H, is Japan’s sixth X-ray astronomy satellite, following up on a series of observatories since 1979 that resolved the hottest parts of the universe. The ambitious mission was supposed to last three years after launching last month aboard an H-2A rocket.